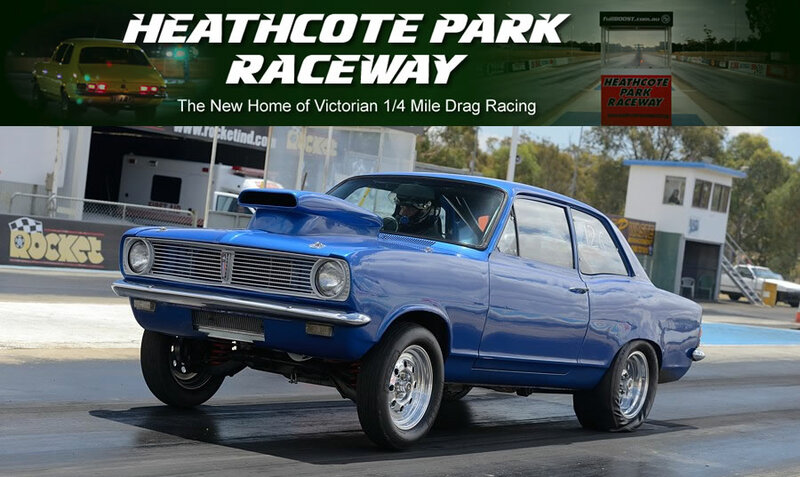 Heathcote Park is the new home of 1/4 Mile Off Street Drag Racing in Victoria. Most people who purchase a high performance vehicle want to take it out and see what it can do, especially against other cars. While it's tempting to do this on the city streets, it's also very dangerous. Not only are there severe penalties for drag racing on public roads, it also endangers many others on the street. Many lives have been lost due to drag racing contests on city streets.Test your car or bike in safe real race conditions, Racing at the drag strip is a great way to safely and legally test out the capabilities of your car while improving your driving skills at the same time. It's also a great place to meet up with other people with similar interests. All cars are welcome at our test & tune day, from your daily driver to full blown drag cars. Minimum personal protective equipment required for competitors: Drivers - long trousers, long sleeve shirt or jacket, enclosed shoes and an approved crash helmet, Motorcycle Riders - long pants, motorcycle approved jacket, gloves, boots and an approved crash helmet.